DC Direct has announced a new Superman bust. 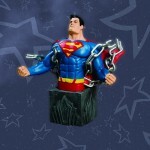 The Man of Steel becomes the latest addition to the new HEROES OF THE DC UNIVERSE line of busts! 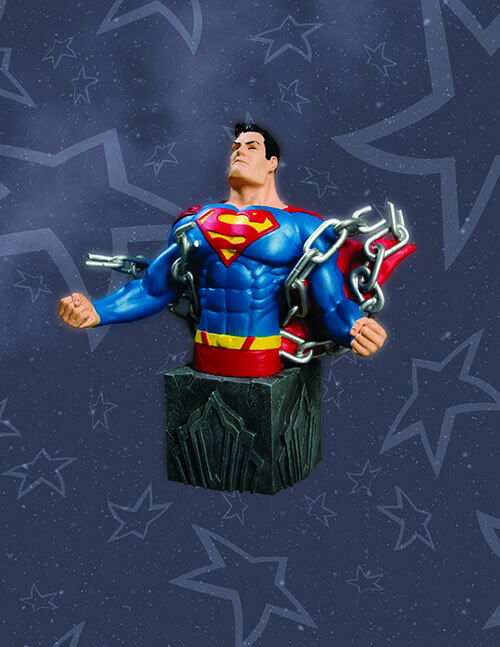 In one of his most iconic poses, Superman demonstrates his titanic strength! The base of the bust is inspired by Metropolis and complements both the Adam Hughes and Terry Dodson Supergirl Busts from the WOMEN OF THE DC UNIVERSE line. This hand-painted, cold-cast porcelain bust measures approximately 5.75″ high x 5″ wide x 2″ deep, is packaged in a 4-color box and is manufactured to order.